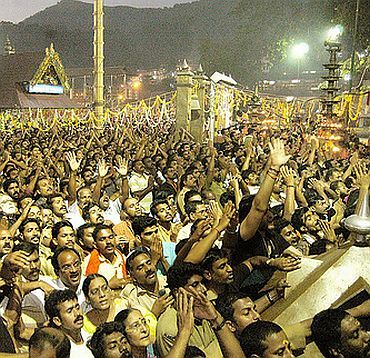 In the backdrop of the Pulmedu tragedy, which claimed lives of 104 Sabarimala pilgrims, the Kerala high court on Thursday asked the Tranvacore Devaswom Board that manages the hill shrine of Lord Ayyappa, if 'Makara Jyoti' (celestial light) was man-made. This question was put to the TDB Senior counsel T G Paraneshwar Nair by a division bench comprising justice Thothathil B Radhakrishnan and justice P S Gopinath when reports filed by Kerala DGP, forest department and TDB on the Pulmedu tragedy came up before it. 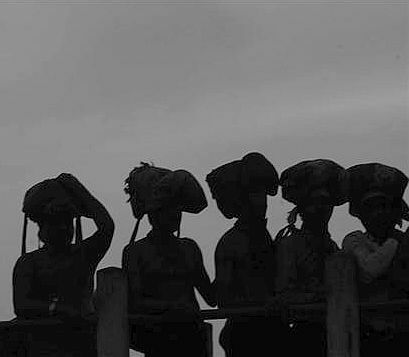 The tragedy had occurred as large number of devotees were returning after witnessing the 'Makara Jyoti' on January 14 at Pulmedu in Idukki district. The TDB counsel said 'Makara Jyoti' includes a celestial star, which is considered to be divine. The Board has not given any publicity that it was 'divine', he stated. The bench then said, 'People should know what is what' and orally asked the TDB to clarify this aspect. Amidst the debate over the truth of 'Makara Jyoti', held as a divine light by millions of Ayyappa devotees, Kerala Chief Minister V S Achuthanandan has said that the government was not going to probe whether it was a divine phenomenon or man-lit exercise as essentially the whole issue was a matter of faith for millions. "The government is neither going to consult astrologers nor materialist scientists to ascertain the veracity of Makara Jyoti, which millions believe as divine and throng the temple with intense wish to sight it," he said. 'Makara Jyoti' is a light that flickers across the skies above the Ponnambalamedu east of the Sabarimala shrine on during the Makarasamkrama pooja of the hillshrine. Traditionally, it is held in high reverence by believers as a divine phenomenon but rationalists have for long dubbed it as a man-lit fire arranged with by the temple authorities and the government agencies to bluff the devotees. 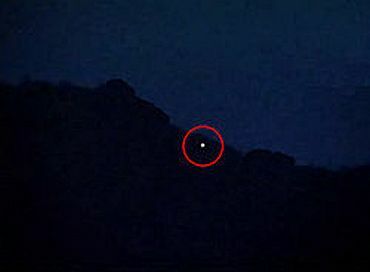 Interestingly, a member of the family of high priests of Sabarimala, Rahul Eswar, appeared on the scene saying that the fire appearing above the mountain is man-lit while the actual 'Makara Jyoti' is a bright star that ascends on the skies on the occasion of makarasamkramam.